Edelwyn is a small group of friends based in Montreal, Canada with a common interest in tarot and divination. 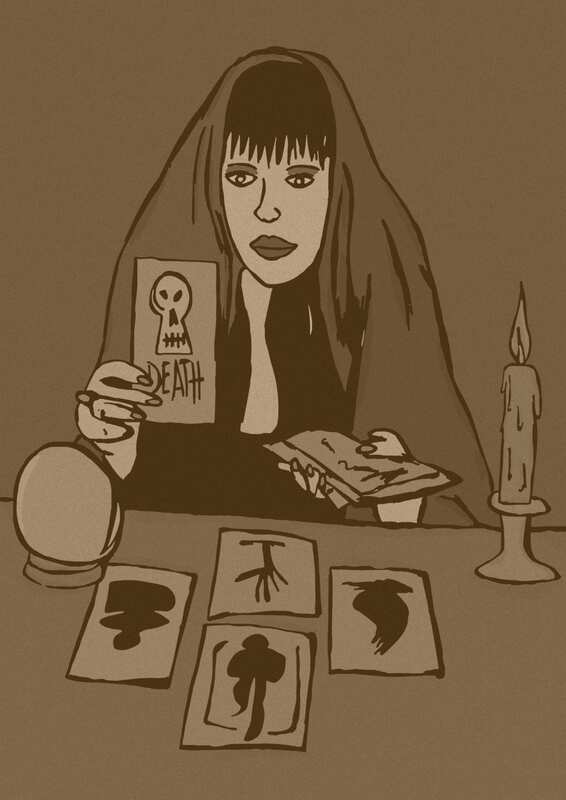 We don’t do readings for a living, but if you’re interested in getting your cards drawn we’d be happy to recommend a few tarot readers we trust. Collectively we probably own over 50 different decks, but the Rider-Waite remains our go-to. There is no single spread that is more accurate than another — it depends on the context. While some people have a natural ability to perform readings, tarot can also be learned. Want to submit an article, show us your illustrations, or collaborate on some projects? We’d love to hear from you! Drop us a line using the contact form below. Jeanine Duval — our editor-in-chief and designated spokesperson — will get back to you shortly.